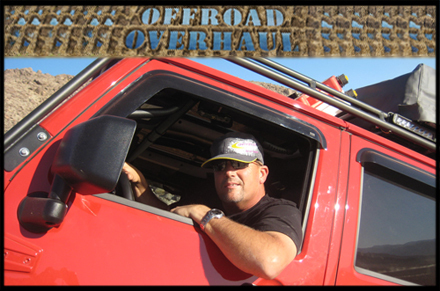 X-Treme Toyz' Owner, Mike Duval recently completed hosting season 2 of Outdoor Channel's television series "OFF ROAD OVERHAUL". The 13 episode series followed Mike & technician Danny Kempf as they took a deserving persons ride and transformed it into a Trail Worthy Machine. The owner then took their enhanced rig on an off-road test ride guided by Mike. What makes Off Road Overhaul's format unique, and not just another build show, is the products shown are all readily obtainable, and for the most part, the work can be performed by the average "weekend warrior" driveway mechanic or a local shop. The stories are real and the participants are everyday people.